Earlier this fall, Magic Memories reached out to me about checking out some of their photo memory products. It’s just in time for Christmas, so I thought you guys might love another option for photobooks, canvas prints, etc. I received two complimentary products, but was not required to write a positive review. All thoughts and opinions are my own. Years ago, I began making photo books of each of our vacations. Then I got super behind, and now have at least 4.5 years worth of travel to turn into tangible memories. The kids love looking at the one we have though, and I’m sure that some day I’ll catch up! Assuming, of course, that someone invents something that pauses time in the near future. I have to admit, part of the reason I allowed myself to get behind is because I’m super picky about the books. I worked only with MyPublisher in the past, and when they were acquired by Shutterfly, I wasn’t thrilled. 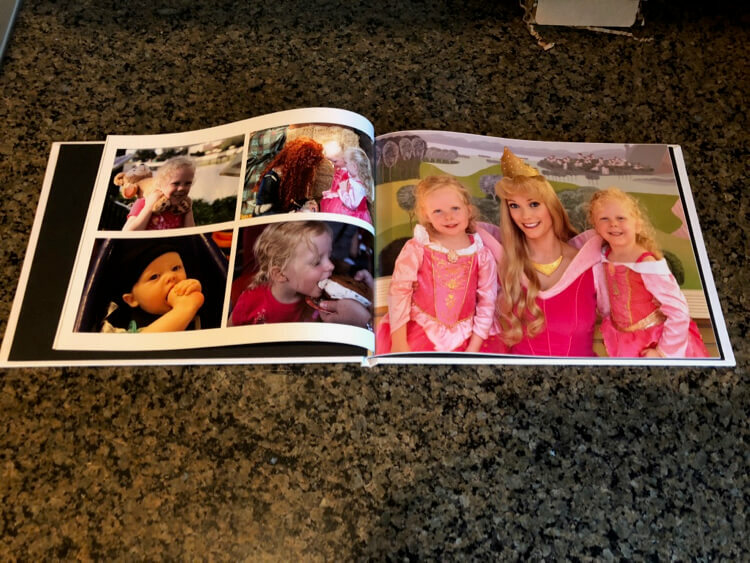 I’m sure the quality is better now, but at the time, Shutterfly simply didn’t offer what I wanted in terms of either the creation of the books or the finished product. When I had a chance to work with Magic Memories, I figured it was the perfect time to test the waters of another company with little monetary risk. I was pleasantly surprised to find that not only do they have high-quality, reasonably-priced photo books, they also have lots of other fun gift ideas. I mean, look at this Lego Brick Wall. I’m not sure whether it’s supposed to be taken apart and put back together like a puzzle, but that’s what my kids have been doing. It’s adorable and hours of fun! 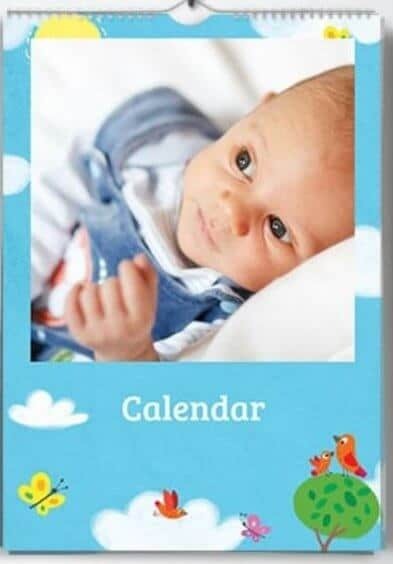 Magic Memories offers photo calendars in the kinds of designs you’d expect to see – some minimalist/classic, some beautiful, some whimsical. I love the variety of layouts though, including some designs with full-bleed photos and some where fun elements are layered on the photos. With each calendar, you can add pre-printed, customized holidays, birthdays, and other important dates. The calendars are spiral bound, which we love for both space-saving and durability. 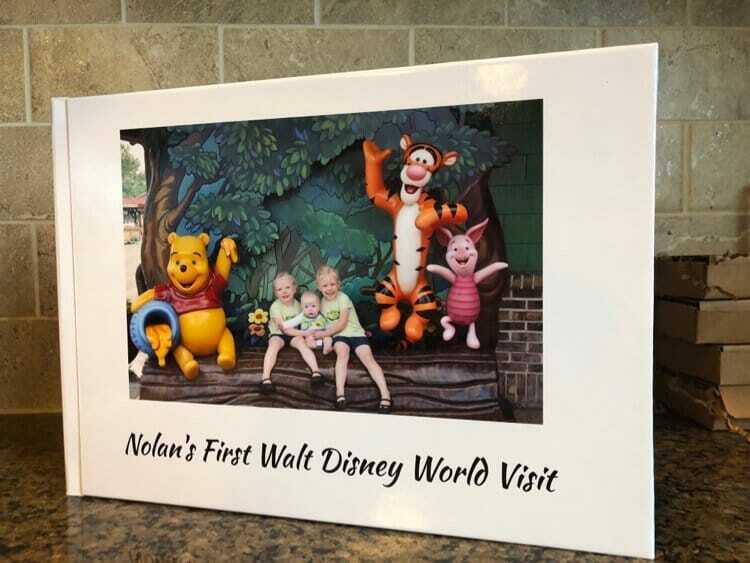 Whether you prefer a stretched canvas print with no frame, or a simple wooden frame around just the edges of a canvas print, Magic Memories has a variety of options. The price is higher than you may find with a groupon deal or similar, but is very much in line with other photo print companies. 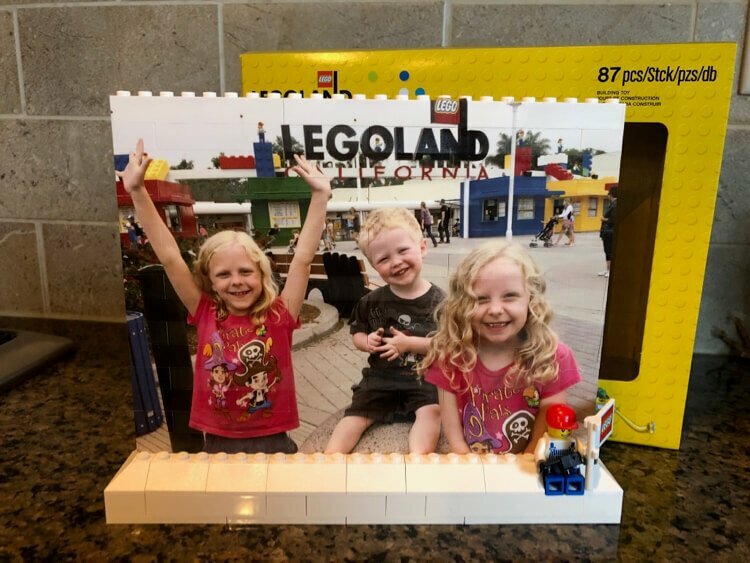 While I did not order any canvas products, I’m impressed with both the paper and lego prints we received, so I’d be confident ordering a canvas gift item from Magic Memories. I don’t drink coffee and my husband only drinks his at work for the most part, so we aren’t really the right household for mugs. It makes me sad sometimes though, like when we’re at a Disney park and see some of the cutest. mugs. ever. I can’t tell you how many times I’ve almost purchased several, despite knowing they’d get no use. If you DO use mugs regularly though, I think this collage wrap is super cute! Magic Memories also offers prints, posters, mousepads, and all kinds of holiday cards! I’ve already mentioned that I’m super impressed with the quality of the products I received from Magic Memories. The price I would have paid for the photobook was very similar to what I would have paid elsewhere, and the quality is the best I’ve seen since myPublisher effectively went out of business. The Lego Brick Wall is to die for, and I can’t say a single bad thing about it. I even let my kids take it apart and put it back together, to see if there are any noticeable lines or breaks in the photo, and it looks as good as it did when we opened it. The user experience on Magic Memories is pretty good, though I’m still missing the sweet spot I had found with my previous books. With Magic Memories, after uploading your photos to a gallery, you can opt to quickly and automatically fill the book, or you can do it manually. Uploading, selecting, and editing the photos for your layout is a breeze. My biggest complaint about the user experience is that you cannot choose from layout templates on the page level. I was able to use an entire book template, or design each page from scratch, but I missed the option to select from a number of collages, etc and simply fill in the photos as I see fit for a particular page. The best solution I found for this was starting with a blank page and just adding and resizing photos manually, but it was often tedious – and I definitely struggled to organize pages with lots of photos in a way that was visually appealing. One of the more unique things Magic Memories offers is the ability to pull in photos from a number of attractions around the world. Similar to Disney’s Photopass service or My Fun Pix from Kings Island and other Cedar Fair parks, you can enter a photo code on the Magic Memories site to pull photos from a vacation or visit to one of their partner attractions. 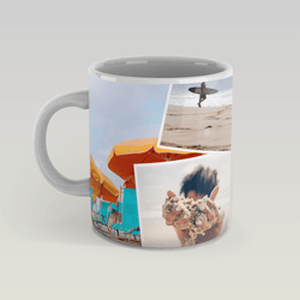 These can be added to your gallery alongside photos you upload, too! 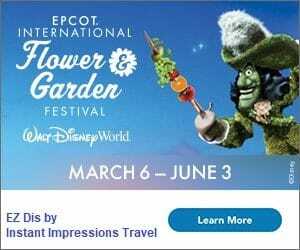 The attractions that offer Magic Memories codes changes throughout the year, but some of their year-round partnerships include Legoland California, The Orlando Eye, Shrek’s Adventure (London), and Australian Outback Spectacular (Queensland). The ordering process, shipping time, and packaging were all great. I do wish some of the attractions we frequent would be on their list… maybe someday! I’d definitely order from Magic Memories again! Want a discount on YOUR Magical Memories order?! 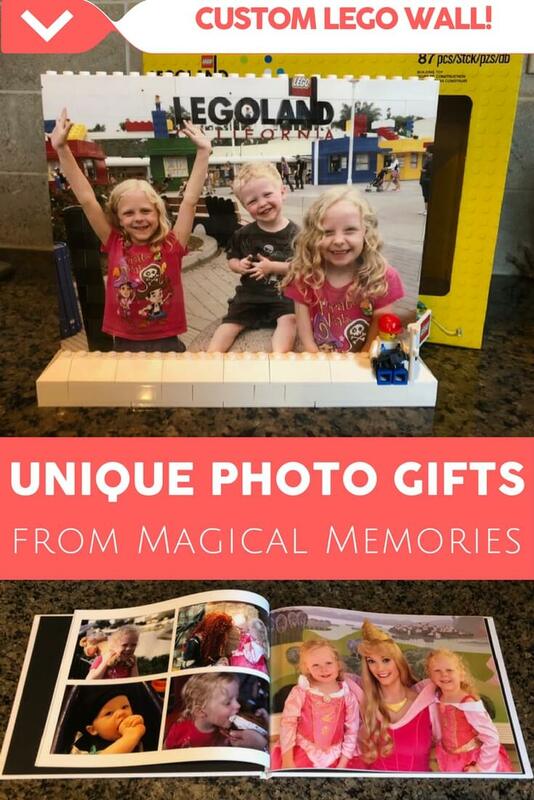 The folks at Magic Memories have graciously offered a discount code for your Magic Memories order – just in time for Christmas shopping! (It’s not an affiliate link, by the way… just something to help you out.) Enter the code DL40 during checkout to take 40% off your order! What product would you choose for someone on your gift list?